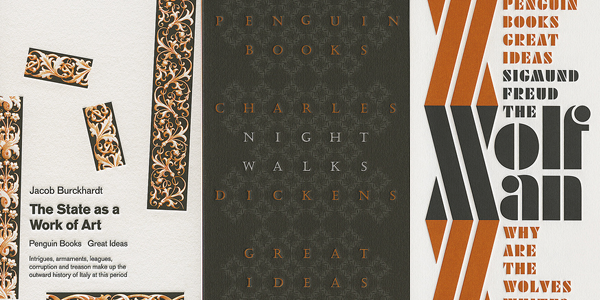 David Pearson continues his fantastic work for Penguin with the latest Great Ideas round. A great variety of style across the lineup, with each cover nicely accenting the book content. Mmm-mmm, good design.